What are the old concrete chimneys around Brisbane's CBD? 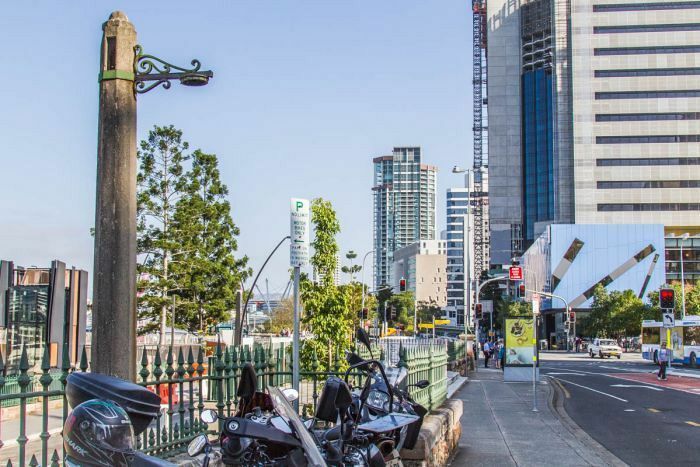 They've been in Brisbane since 1904 and you might have even walked past one on your way to work today — but what exactly are the concrete chimneys around the CBD? Before modern-day plumbing, giant concrete pipes were built around the river city to ventilate storm drains and the sewage system. Historian Blair Allsopp said one of the first ventilation towers was built on William Street in the city. "It was the first gentleman's public toilet and they ventilated it with this, four metres tall," he said. "They had to be taller than people so that the smell would go over their heads and allow the stale air out of the toilets." The plaza where the William Street pipe still stands was one of the main gathering points in the city in the early 1900s. "It was also used as a tram stop. When people came over one side of the river, over the Victoria Bridge into the CBD, a bus or tram would pull up," Mr Allsopp said. "It was a transportation hub and that's why the toilet was underneath, as there was often a long wait between trams." It is hard to believe, but back in the day many residents would throw their household waste down stormwater drains. This lead to blocked drains, creating foul smells. The problem pushed the council of the time to construct ventilation shafts for the drains, and later the sewage system. Larger chimneys made from reinforced concrete can still be found in inner-city suburbs of Spring Hill and Teneriffe. "There are [chimneys] which are pre-cast concrete and much taller, hidden away," Mr Allsopp said. "They were some of the first pre-cast concrete structures in Queensland sold to the City of Brisbane by John Monash. "He became known as General John Monash of Anzac fame, but before then he had the rights to reinforce concrete in Australia." Mr Allsopp said older houses still standing today have similar, smaller version of the pipes. "They really were larger versions of the domestic types that act as breather pipes for your own sewage system," he said.